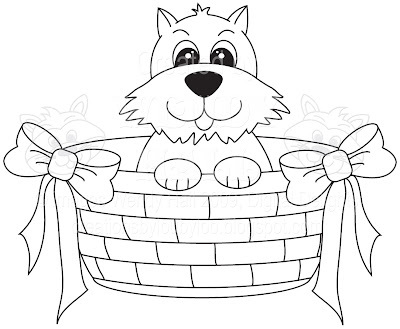 We have a new freebie today at Digital Delights called Basket of Love, isn't he a sweetie? Pop over to SNR Card Universe or Paper Craft Planet to grab him without the watermark, as he's only available for a week. Why not use him to enter our challenge at Delightful Sketches this week, you could win a fab stamp set from The Greeting Farm.